Let’s Take a Look at IG – the largest UK spread betting company. Although the trading platform is fairly intuitive, we have also added a series of videos to help you use the IG website. 24 hour spread betting – investors can trade a number of popular markets like the FTSE 100, GBP/USD, gold and crude oil, 24 hours a day, from Sunday night to Friday night. IG Index quotes prices on leading stock indices even when the underlying markets are closed. They also offer extended hours for leading us shares. Why doesn’t everyone just use IG? The pricing is fine, the platform stable and trustworthy, and they have all the markets you could ever want to trade etc. User-friendly platform? – IG is one of the best platforms for having all the whistles and bells. That also means they need to squeeze a lot on to your trading screen. They’ve done fairly well with keeping the platform user-friendly but there are more user-friendly platforms. If you want a really simple platform then you might prefer Core Spreads or Financial Spreads. “OK” Spreads – IG don’t offer the tightest spreads. E.g. they say “EUR/USD from 0.6”, in reality the average was 0.75 and, as of December 2017, that 0.75 is still be quoted for the “Average spread for the 12 weeks ending 24 February 2017”. The typical spread is probably closer to 0.9 or 1.0, it’s just a shame they don’t say what it is. This is a poor practice with most brokers with variable spreads. Clarity please IG! Also…don’t be shy, 0.9 or 1.0 isn’t that bad. If you want tighter spreads, you could use the above firms. InterTrader are also more competitive than IG on many of their markets. Minimum stakes – IG tend to start at £2/pt. If you want to trade £0.5/pt try ETX or Financial Spreads. Sunday Trading – the IG Sunday DAX, FTSE and Dow Jones markets have very wide spreads and can be confusing, make sure you read the full trading rules on these before you spread bet. Overall, I do like the IG platform and overall service, they are strong across the board. But I will certainly use other platforms depending upon what I am trading. I guess the above answers the question. Investment Trends, a leading independent research agency, conducted a survey in 2013 that found that just under 60% of ‘active’ UK financial spread bettors have an account with IG Index. This confirmed IG Index as the most popular UK spread betting company. 44% of spread bettors said they used IG as their primary account and 32% of UK CFD traders said they used IG as their primary account. Add Your View – please add any comments and/or questions on IG here. Readers can leave comments by logging in securely to their Facebook, Twitter or Intense Debate accounts (CleanFinancial does not see, or keep a record of, your login details). Below, an overview of the IG spread betting account. The IG platform is also available for a broad range of mobile devices. The IG ‘mobile dealing app’ has been tailored for iPhone and Android based devices. The result is that IG account holders can review the latest prices and charts, open and close trades and update trading orders from their mobile phone. 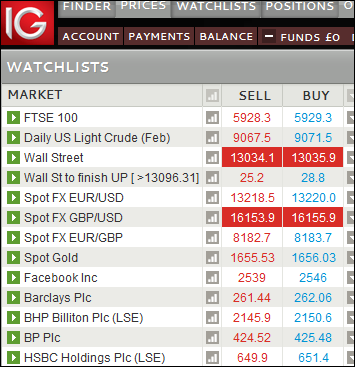 The IG Index service covers both basic and advanced technical analysis with their range of live charting options. Autochartist is one of the fastest scanners of technical patterns and IG clients are eligible for a free Autochartist subscription. Intraday Scanning: quick notifications regarding potential trade opportunities throughout the day. Forecast Zones: once a pattern has been completed, Autochartist can automatically plot a forecast zone of the price level that is expected to be reached. According to the Autochartist website, this feature comes with a 70% success rate†. Quality Indicators: automated visual analysis that combines four unique characteristics to assess the quality score of a pattern. Pattern Recognition: Autochartist automatically detects predefined patterns and key levels. Trade Style: the software automatically plots support and resistance levels in order to help both ‘breakout traders’ and ‘swing traders’. 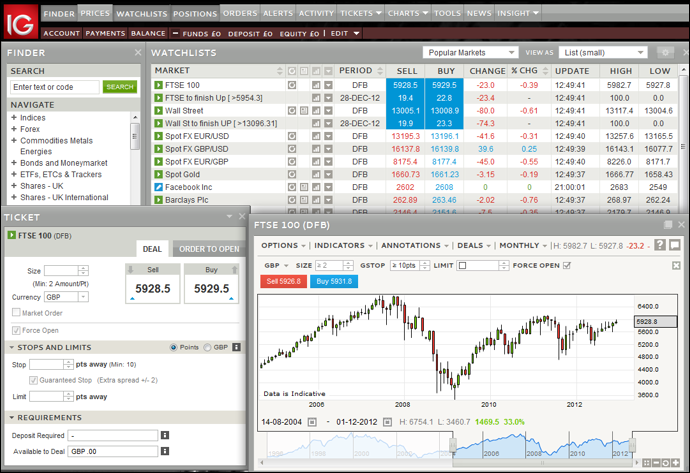 ‘PowerStats’: a feature which assesses the risk and volatility of the instruments that you trade. 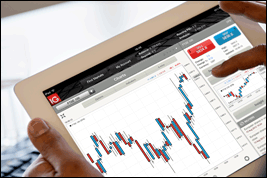 Training: the service comes with training videos and guides to help investors maximise the use of the chart patterns and technical analysis. † The 70% success rate is based on the previous 6 months of trading data although, as always, any indication of past performance is not a reliable indicator of future results. This information has been obtained from Autochartist. IG, Autochartist and CleanFinancial do not make any representations that any results will be achieved. Below you will find a sample of the markets offered by IG Index along with their typical in-hours spread size and the minimum stake for that market. See IG Index for full details. Please also read our company prices and notes on the above. IG are very active on Twitter but less so on Youtube these days. A lot of their activity on Facebook and Google+ is identical. @IGcom – official IG Twitter account for market updates, corporate updates etc. “IG Index is Britain’s leading financial spread betting firm, offering prices in a wide range of indices, FX, commodities and options markets as well as thousands of individual shares. “Financial spread betting has grown rapidly over the last decade because it offers investors and traders a unique combination of flexibility and speed of execution. “IG Index, the original IG Group company, was founded in 1974. It was the first financial spread betting company in Britain, and today is the leading spreads operation in the world. “The group rapidly grew in the 1990s with the introduction of forex dealing, Contracts for Differences (CFDs) and sports spread betting. 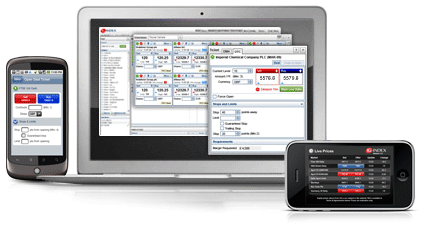 In 1998 IG Index became the first company to offer online financial spread betting. “2000 saw IG Group float on the London Stock Exchange (LSE). In 2003 Stuart Whelan (the founder) decided sell his remaining interest in the company and compelled a management buyout led by Nat le Roux, then CEO, and backed by CVC Capital Partners. 2006 saw IG Group launch a browser-based trading platform as well as a website dedicated to clients in Russia. In 2011, IG added DMA to its iPhone app, they also launched new Android and BlackBerry based apps. 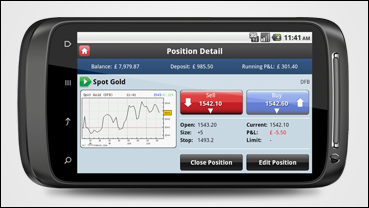 The IG platform sees around five million trades placed each month. 2012 saw the IG Index and IG Markets brands start trading as IG. IG Index is authorised and regulated by the Financial Conduct Authority (FCA), FCA Register number 114059. Note that IG Group Holdings plc is a FTSE 250 company and so you can spread bet on IG itself, ticker code IGG. See below for broker ratings on IG Group. Note that you might also be able to take a view on IG Group on other websites. The following video looks at the deal ticket, where to get news, where to get more charts from third parties to help your trading etc. The following video gives a simple but useful overview of the IG charts including how to access charts, selecting different views and timeframes as well as adding technical indicators and trend lines.